If you would like information on this development, or any other Naples community, please send a request to any of our featured real estate agents.. Private, quiet settings where deep-water canals and coconut palm tree-lined streets distinguish this neighborhood as one of Naples’ most desirable. Most of the 370 home sites offer bay view or channel access. Ideally situated between the elegance of Port Royal and the ambiance of Old Naples, Aqualane Shores borders on the Third Street shopping district, Fifth Avenue South cafes and is within walking or bicycling distance of the beach. A Bermuda theme permeates the private, gated community of Audubon at Naples Golf & Country Club. In keeping with this environmentally conscious development of 770 acres, including environmentally sensitive coastal areas, estuaries and the protected mangrove preserves on Little Hickory Bay, over 274 acres will be preserved in their natural state. Limited to 408 residences including estate homes, villas, and low-rise garden condominiums - all providing views of the golf course, lakes, or natural preserve areas - makes Audubon the epitome of gracious living. An active club lifestyle is the order of the day at Audubon beginning with the spectacular 36,000 square foot clubhouse and its surrounding facilities available for resident members only. Formal and informal dining, library, exercise rooms, and card rooms all speak about an emphasis on luxury and comfort. Two Croquet lawns adjoin the clubhouse enabling members the opportunity to become proficient at one of the country's fastest growing, and most elegant, club sports under the watchful eye of our resident croquet pro. Eight all-weather, Har-Tru tennis courts are available to members as is a fully stocked tennis pro shop. A 25-meter, heated swimming pool offering daily water aerobics classes with a trained instructor, adjoining the pool is a large patio area with barbecue facilities. Adjacent to the courts and pool is the Courtside Cafe available to members for a casual lunch. But the centerpiece of Audubon at Naples is the 18-hole championship course, designed by Joe Lee, one of America's foremost golf course architects. Measuring 6,710 yards from the back tees, good golfers & recreational players alike will find themselves challenged by the inventive design of the course. A 500 single-family and attached villa homes with all homes having a views of a lake or natural wooded preserve. Autumn Woods encompasses 222 acres and offers buyers a choice of three different neighborhoods to meet their lifestyle. Single family homes priced from the low $200’s and villa homes from the high $100’s. Gatehouse garden style condominium community located West of U.S. 41 in North Naples. Heated swimming pool and spa. Condominium residences range from 1,480 square feet for a 2 bedroom 2-bath unit to 1,613 square feet for a 3 bedroom 2-bath unit. Residences include single car garage. Priced from the $130's. The subdivision consists of 146 single family homes built throughout the 1990's. 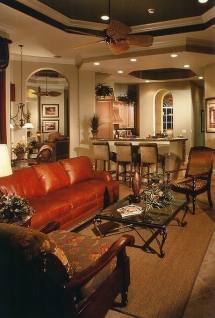 Living areas range from approximately 1,600 to 2,800 sq. ft. These homes are situated on approximately one quarter to one third acre lots. Some properties are lakefronts. Prices range from the low to upper $200's. A private gated community comprised of 88 coach homes. The community has a full-sized clubhouse with an executive center, a fitness center, large screen TV, lounge area, casual bar, fully equipped kitchen and heated pool. Other amenities include a lighted exercise path with aerobic workstations, picnic benches and barbecues. The townhouses are 3 bedroom, 2 bath with attached garage and range from 1,622 to 1,811 square feet of living space. Priced from the mid $150’s. The Gulf combined with the back bay and natural mangrove preserves, provides an unusual setting and a separate identity for this unique area. The lifestyle: from upscale to very relaxed beach living with a pleasing variety of individual homes and condominiums. Many of the residences feature beach and/or bay views and all have convenient access to the beach. Extremely private with a single entry to the area, Gordon Drive hosts some of the finest estates in the world. Adjacent to prestigious Port Royal, the Gordon Drive area offers a true tropical paradise lifestyle with lush landscaping, unreserved water views, and unbelievable sunsets. Every community has a special attraction unique to the city. Naples has the Pier at the south end, the Ritz-Carlton to the north, and fabulous Gulf shore Boulevard in between. More than 135 beach and bay front condominiums and cooperatives begin just north of the Naples Beach Hotel and continue north to the city’s edge in Park Shore. With sincere variety in architectural styles and access to endless amenities, truly there is something for everyone on Gulf Shore Boulevard. The 700 acre golf community of Imperial Golf Estates combines a variety of residences, beach access, two 18 hole championship golf courses, and a complete array of amenities to make it one of the most desirable private golf communities in North Naples. The streets, lined with ficus, Banyan and palm trees, and neatly manicured lawns, exude a quiet elegance of befitting a premier lifestyle. The Moorings/Coquina Sands areas are centrally located, stretching from U.S. 41 to the Gulf of Mexico. Much of the area is waterfront with boat docks and shimmering views for both single-family homes and condominiums. The Moorings Country Club is located at the center of the community on Crayton Road, with beautiful golf course views for many surrounding homes. A charming area characterized by hundred of coconut palms with each street ending at the beach, Old Naples is truly a unique neighborhood, with its history and variety of small cottages, beachfront estates, and everything in between. Old Naples is loosely defined as the area that extends from 7th Avenue North southward to Aqualane Shores and is conveniently within walking distance to shopping, fine restaurants, entertainment, the historic Naples Pier and the beautiful beaches of Naples. An immaculate, prestigious community located between the Gulf of Mexico and U.S. 41, with inland and waterfront homes and condominiums, as well as excellent shopping and dining facilities, including the breathtaking Venetian Village. Most of the condominiums are located on the Gulf or Venetian Bay. Marina facilities are located directly on the waterfront, and residents of the area have a private beach entry in addition to several public beach access points. Ideal for he active outdoor lifestyle, a lighted promenade stretches along the beach for strolling during the day or night. As the recipient of numerous environmental, landscaping and architectural awards for outstanding design, Pelican Bay truly offers a variety of the best in luxury lifestyles. The area, consisting of 2,100 acres at the north end of Naples, offers mixture of single-family homes, villas, condominiums and commercial service properties al set amidst gently winding streets with exquisite preservation of the native environment. The Club at Pelican Bay offers beautiful facilities, including a challenging and scenic 36-holes of golf and exquisite dining. Pelican Bay is also home to the world-class Registry Resort, The Ritz-Carlton and the exquisite Philharmonic Center for the Arts. Located just north of Vanderbilt Beach, Pelican Isle offers a 15-acre private marina island with 190 slips, a waterside pool, fitness center and gourmet dining. All 134 luxurious condominium residences feature spectacular water views. Pelican Marsh is ideally located in North Naples about one and one-half miles from the Vanderbilt Gulf Beaches. Upscale shopping and dining facilities are within blocks and Pelican Marsh is close to the Philharmonic Center for the Arts. There is over a 1000 acres of property with beautiful landscaping. Lakes are numerous and the 133 acres of nature preserves provide a terrific environment for wildlife including eagles and wading birds along with other interesting animals. Pool and lighted lake fountains located throughout are quite photogenic. The 176 condominiums at Pelican Ridge have a very cozy feel, tucked away just minutes from restaurants, shopping and Gulf beaches. They range in living area from approximately 1,280 to 1,744 sq. ft. and were built in the late 1980's. Prices in Pelican Ridge range from low to mid $100's. A prestigious landmark of Naples, Port Royal is considered by many to be one of the finest neighborhoods in the world. The very private single-family community is comprised of approximately 560 home sites, and most residents enjoy dramatic water views from the rear of their home. The many docks on the deep waterways contain a variety of boats and yachts. Subdivision consists of 157 single-family homes and 135 condominiums. The Single-family homes range in living areas from approximately one quarter to one third acre, with a few zero lot line homes. The homes were built between 1987 and 1996. Homes in Regent Park range from the mid $100's to the mid $200's. The Regent Park Condominiums are tastefully nestled amidst the single-family homes, which give them a neighborhood feel. Living area is 1,375 sq. ft., they were built between 1987 and 1992. Units range in price from approximately mid $90's to lower $100's Regent Park is a great community for anyone who likes to get outdoors, plenty of room to stroll, jog, bike, or roller blade. Amenities for Regent Park residents include a community pool, tennis courts, parks and lakes. It is a great community for anyone who likes to get outdoors, plenty of room to stroll, jog, bike, or roller blade. The Royal Harbor area is comprised of approximately 420 waterfront home sites, with direct access to beautiful Naples Bay, the Inland Waterway and the Gulf of Mexico. Deep-water canals are especially enticing for boating enthusiasts, who also enjoy access to the world-famous fishing grounds of the 10,000 islands. The quiet streets include a variety design styles and offer some of the best waterfront values in Naples. Virtually every home has a dock at the back door. Located in the North Naples area, Vanderbilt Breach is a neighborhood consisting of many canal and bay front homes, a few beachfront homes and a good selection of bay and beachfront condominiums. There are seventeen residential streets in the neighborhood, each ending in a private cul-de-sac. Located in the northern-most corner of Collier County, this community stretches west of U.S. 41, to the protected mangrove preserves on Little Hickory Bay. A limited number of residential dwellings will ensure a low density in the community and on the golf course. Views are given priority and every estate home, villa, or low-rise garden residence overlooks the golf course, lakes, or a natural preserve area. Amenities include an 18-hole championship golf course, 36,000 square foot clubhouse, Har-Tru tennis courts, pool and croquet courts. Bay Colony, located within Pelican Bay in North Naples, is a private intimate neighborhood that offers luxurious high-rise condominiums and grand estate homes steps from the Gulf of Mexico. Mangrove forests and pristine beaches border this exceptional community, which is within walking distance of the classic elegance of the Ritz-Carlton, the Philharmonic Center for the Arts, fine shopping and dining. Two stately gatehouses add privacy to this exclusive Bay Colony community. All Bay Colony residents have access to the exquisite recreational opportunities of Pelican Bay including membership opportunities to the Pelican Isle Yacht Club and Bay Colony Golf Club. You enter through Bear’s Paw to a site with pines and palmetto, enhanced with the broad fairways and lakes of this Nicklaus masterpiece. Bear’s Paw is secluded within 244 acres of prime land. The one, the only access, for both residents and quests, is the security gatehouse with a gatekeeper on duty 24 hours. Here, you are away from it all still within minutes of all that you need or wish, including the airport. Bear’s Paw residence buildings rise two and three stories from their secluded wooded sites. All three-story buildings have elevators. There are only 192 luxury condominiums, 90 villas and 15 single-family homes from which to enjoy the magnificent views of the golf course and lake. From the moment you drive through the guarded gateway at Bonita Bay, a sense of harmony between man and nature is evident. Bonita Bay boasts over 2,499 acres dedicated to maintaining the natural beauty of Southwest Florida. Bonita Bay features five championship golf courses, tennis courts, clubhouse and full service marina with Backwater Jack’s restaurant and ship’s store. This private country club community, comprised of 218 single-family home sites, nestles along the Cocohatchee River, one of Florida’s most pristine natural waterways. An Arthur Hills designed 18-hole championship golf course embraces the river at several points along the 450-acre property acquired by Collier County’s founder, Barron Collier, in 1923. At the heart of Collier’s Reserve is the private equity country club featuring the Boathouse for casual riverside dining, the Clubhouse for casual, formal, and private dining, Har-Tru tennis courts, pool and comprehensive golf facilities. Eagle Creek Country Club is conveniently located at the intersection of CR951 and US41 on the way to Marco Island. The features include a clubhouse, which as a dining/lounge facility, locker rooms, saunas, card rooms, whirlpool and full pro shop. There are also seven Har-tru tennis courts, cycling and jogging paths. Residences include condominiums, coach homes & villas and single-family homes. Only at Grey Oaks Country Club can you find the prestige of a “heart of Naples” address combined with 54 holes of championship golf. At Grey Oaks Mediterranean styled estate homes and villa neighborhoods are nestled amongst three unique courses diverse in design and terrain. Each offers its own atmosphere and challenge. Ranging from the traditional native Florida pines and palmettos on the Pine, a tropical theme, abundant with palms and sand “beaches,” on the Palm, and the primitive influence of the forested land and bordering wetlands preserve on the new Estuary course which will be open for play n the spring of 2002. Residents of Grey Oaks are offered an extensive amenity program in addition to the 54 holes of championship golf, which includes two Grey Oaks clubhouses, the 62,000 square-foot Grey Oaks Country Club and a 19,000-square-foot day clubhouse under construction at Estuary; tennis center with eight, lighted Har-Tru courts; children’s playground; heated lagoon pool; and fitness center. Grey Oaks is located on Airport-Pulling Road north of Golden Gate Parkway and offers homes from the $600s to over $6 million. Hawks ridge is a community of ninety-four home sites, ranging from one third to one-half acre in size with deeded protective covenants and restrictions and a homeowners association. Amenities include a central clubhouse with exercise room; two-lighted tennis courts wide sidewalks and well-lit streets illuminated by decorative lampposts. Hawks Ridge is in the heart of Naples, centrally located to schools, shopping, medical facilities and a range of area conveniences. Considered one of the most desirable golfing communities in North Naples, Imperial has an optimum location with beach access, shopping, and other facilities just five to ten minutes away. The two 18-hole golf courses are the focal point of the community. The clubhouse offers dining facilities, and a separate tennis club is also available to residence. Throughout Imperial, an abundance of trees and foliage, combined with the natural color schemes of the homes, creates beautiful settings surrounded by nature at its best. The elegant 30,000 sq. foot clubhouse contains beautifully decorated formal and casual dining rooms; an Olympic sized pool, and fitness center. It is the seven lighted, hydro-grid tennis courts, however, there are a focal point at Kensington. Estate homes, garden villas, courtyard homes, golf cottages, and distinctive condominiums are artfully arranged around the other focal point at Kensington: an 18-hole, Robert Trent Jones, Jr. designed golf course. 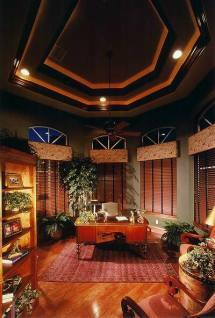 Lely Resort is the flagship country club community for Naples based Lely Development Corp. It is destined for build out in 2004, comprises over 2900 acres including three courses with 54 holes of golf, and will be home to 20,000 residents. It will be a complete community that will include a luxury world class hotel, cultural center, elementary school, high school, college campus and shopping. Longshore Lake is built around a peaceful 88-acre lake, which meanders throughout the community. This carefully designed community of 566 single-family home sites on 310 acres has it all; a convenient North Naples location, reciprocal golf membership at quail Creek Village, professional tennis program, boating, swimming, formal and causal clubhouse dining, and 24-hour gated security. Olde Cypress is a tranquil low-density community set among some of Naples’ most beautiful scenery off Immokalee Road. The 540-acre gated community features P.B. Dye’s first 18-hole championship golf course in Collier County. Each of the planned 427 single-family residences provides a view of either the lush links or the 176 acres of pine and cypress preserves. Olde Cypress’ 38,000 sq. ft. clubhouse, a unique building decorated in an Olde World style, features a dining room, mixed lounge and the Grande Gallery, an operational art gallery. The club is complemented by a fitness center, community lap pool, four tennis courts and a golf practice facility. Bordered by US41, Spring Creek and Estero Bay, Pelican Landing encompasses over 2,400 acres, designed to be a community of neighborhoods surrounded by pristine waters and preserves. Equally important for many residents is the fact that the entire community is centered around a spectacularly beautiful 36-hole golf course. The scenic layout of Pelican’s Nest Golf Club is due in no small part to the very extensive use of water, which also helps create a challenging but reasonable course layout. From the exquisitely designed and decorated estate homes on “model row,” to the unique garden villas and condominiums, every lifestyle choice exists at Pelican Marsh. Just past the guard gate off US41, the remarkable layout winds around and through the Cochatchee Stand and other pockets of environmentally protected land. Water also figures prominently in the design, serving as focal points in each individual residential neighborhood. The private golf club offers a Robert Bon Hagge-designed hallmark course that rolls over 133 acres of nature preserve. Quail Creek Estates is a single-family development of just under 300 home sites, with each residence overlooking the golf course and its lovely vistas. Two 18-hole par 72-championship golf courses, designed by Arthur Hills, meander through the gently rolling, wooded landscape. The Club has a very spectacular 44,000 sq. ft. Main Clubhouse plus a 14,000 sq. ft. Tennis clubhouse and fitness Center. Quail West’s estate-sized home sites are situated on hundreds of naturally wooded acres, and are surrounded by picturesque lakes and championship Arthur Hills’ golf courses. At the center of the new community is the elegant 70,000 sq. foot country club containing several dining rooms, facilities for aerobics and fitness, racquetball, tennis, cards and billiards, as well as a pool and mineral spa in the natatorium. 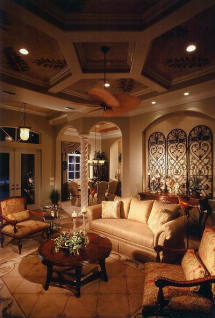 Throughout the community the design captures the warmth and charm of Old Florida’s rich architectural heritage. A PRESTIGIOUS, NEW COMMUNITY IN north Naples where ownership comes with a full golf and country club membership is Stonebridge. Carefully planned, Stonebridge offers garden condominiums, coach homes, attached and detached villas, and single-family estate homes all are within minutes of the beach, shopping, schools, etc. In addition to the superb 18-hole championship golf course where ancient moss oaks supply a perfect backdrop, Stonebridge offers residents a gracious 20,000 square foot clubhouse, 5-lighted Har-Tru tennis courts, Olympic proportioned pool at the clubhouse, and several neighborhood pools. The two entrances to the community are gated and manned with 24-hour security guards for added privacy and safety. The Strand is a 575-acre planned golf course community off Immokalee Road in Naples. 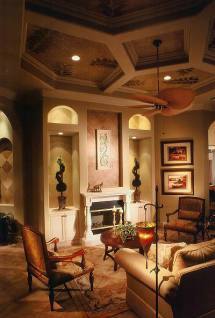 The award-winning community offers a range of home styles and prices to meet any homebuyer’s needs. The Strand’s 27-hole championship golf course, formerly a stop on the LPGA tour, is enhanced by a 55,000 sq. ft. clubhouse, 9,500 sq. ft. Tennis & Fitness Center with cardiovascular equipment, a junior Olympic-size pool, eight Har-Tru tennis courts a full-sized basketball court, and a playground. The Strand has garnered several impressive awards, including community of the Year and twice named Clubhouse of the Year, all from the Collier Building Industry Association. Whatever lifestyle you chose, The Vineyards can accommodate that choice. Distinctive single-family homes, villas, condominiums, and garden residences, in an array of exceptional designs, exist within this self-sufficient community. Strict architectural and minimum home size standards have preserved the clean Mediterranean style throughout the individual developments, with names such as Tuscany, Tra Vigne, and Chardonnay. One of the newest private country clubs in the Naples area. Bordered on the North by the Estero River, the East by Halfway Creek and the West by Estero Bay, an aquatic sanctuary, West Bay Club is an exclusive country club golf course community in a pristine world unto itself. This private enclave is reminiscent of a country estate set amid landscaped gardens. Quintessential Old Florida, it has more than six miles of preserved waterfront with views of river, creek, bay and gulf. Windstar is a 450 acre golfing and boating community located on a peninsula off of Naples Bay with Port Royal as it’s across-the-water neighbor. The Clubhouse, with 33,000 comfortable square feet of elegance and privacy, features locker rooms with lounge area, full pro shop, casual and formal dining as well as a complete exercise and tennis facility. Windstar Marina has 72 deepwater slips and direct access to the Gulf through Gordon Pass. Windstar Beach Club is located on Keewaydin Island, a short 15-minute boat ride from home.